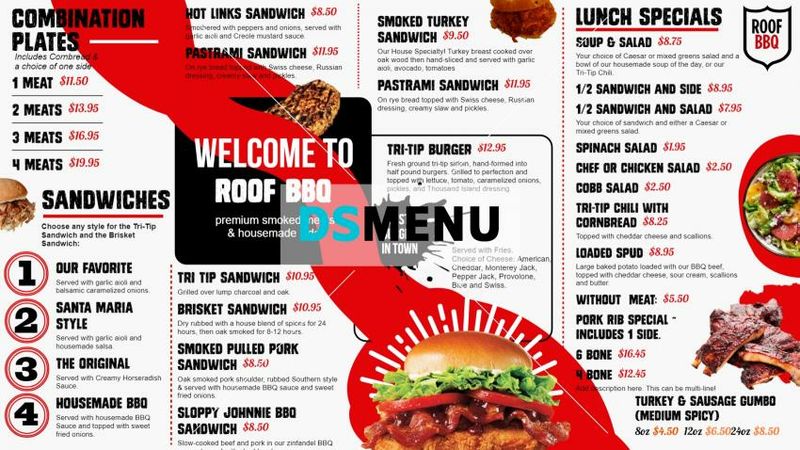 This BBQ menu board is distinctly very refined with a white color background, black lettering and a red ribbon design on the menu highlighting smoked items with graphics. The menu is grand, with an array of combo meat plates, sandwiches, burgers and a special lunch menu. This template is best presented on a digital menu board with digital software facilitating automated menu content update at real-times.